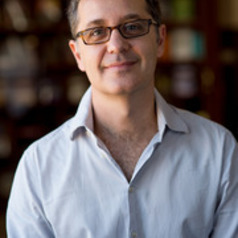 A graduate of Curtin University in Western Australia (1988), Steven studied Honours at Murdoch University, and received his PhD in Communication Studies from Murdoch University (1994). He was a member of the Media and Communications department at the University of Sydney (2005–2015) after ten years teaching at the University of Western Sydney (1995–2005). In 2015 he returned to Western Australia to accept a position of Associate Professor in Media and Communication at The University of Western Australia. He is the author of two books, Screenwriting: History, Theory and Practice (Wallflower/Columbia 2009) and Objectivity in Journalism (Polity, 2013), and has published articles and essays in numerous journals in Australia and internationally. He is editor of the 2016 collection Ethics in Screenwriting: New Perspectives (Palgrave Macmillan).